In September 2016 Nate and Anna Weeber experienced tragedy and triumph during “18 days of grace.” This true story tells of the miracles they saw God perform, the obstacles that He overcame, and a community that came together in such a tangible way the couple can’t help but go away praising God for all they saw and heard. 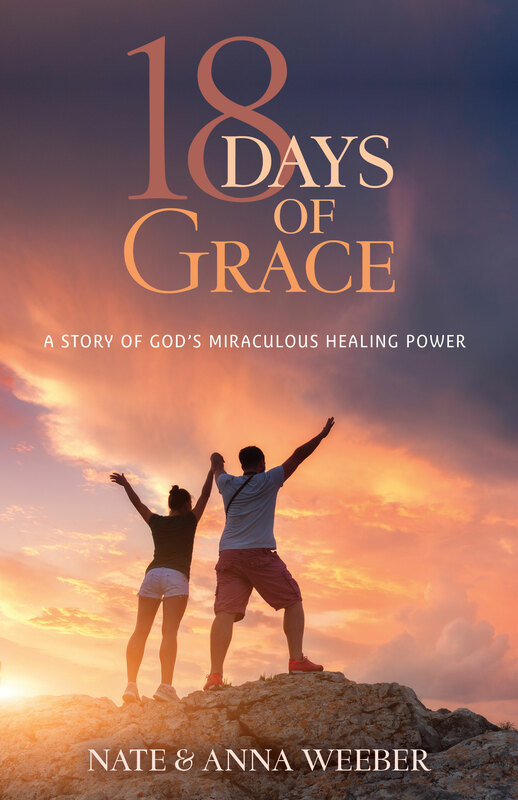 18 Days of Grace includes the actual Facebook posts Nate posted at the time of the aneurysm to the tens of thousands of prayer warriors who were following their story. As featured on The 700 Club, Fox News, People magazine, and Women’s World magazine.